The latest buzz doing rounds on the popular gadget blogs is that, both Microsoft’s surreal “Courier” as well as HP “Slate” are dead. While Microsoft has just provided a hint towards what they call as “they may not be interested” for the development of “Courier” right now. But shockingly, most of the blogosphere is fueling stories about HP Slate being dead already. That too without any evident reasons ! 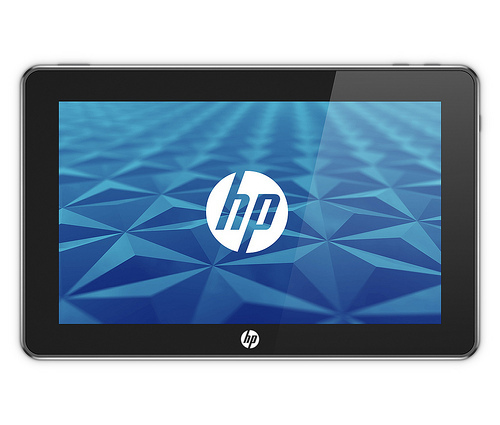 We still do not believe that HP has so easily killed the development of HP Slate. Infact the acquisition of Palm by HP makes the bigger picture more crispy clear about the HP Slate. Our sources have confirmed that the HP “Slate” tablet is well on its way in development and could ship anytime by June 2010. Just for a second, put this thought in your mind: HP is not a big player in mobile handsets and phone OS market. So why would it acquire something as Palm? We have strong intuition that it is doing it very well, keeping a revolutionary notebook, or to be precise a tablet (read Slate) in mind. HP’s intentions are very clear from now on. It is willing to break away from Microsoft for future tablets that leave its development factory. But we here, are still speculating about these things, as HP considers it proper not to comment on rumors for the time being. One Response to Is HP Slate Really Dead? Or Palm Acquisition Another Step Towards It? Previous Entry: Is the Microsoft Courier Also Dead?